Correct tyre pressure can benefit you, and those around you, for many reasons. Optimum pressure is vital to your safety on the road, contribute to lower fuel bills, longer tyre life, along with reduced CO2 emissions. Yet, a shocking 35% of tyres are being driven at least 8psi below the vehicle manufacturers’ recommendation*. This is despite under-inflated tyres heavily affecting drivers handling and grip and potentially causing irregular or unpredictable vehicle behaviour. They are also much more likely to suffer from a dangerous sudden rapid deflation, especially when travelling at high speed. Safe tyres with the correct air pressure can reduce the risks to you, your passengers and all road users. The incorrect tyre pressure will also have a negative impact on your fuel consumption; 3% more fuel is used when pressure is 6psi below recommended inflation. This means that £600 million is wasted yearly on fuel costs by British motorists driving with under-inflated tyres*, with 56.8% of car tyres in the UK is at least 4 psi below the recommended pressure*. If you would like us to check your tyres for you, please contact your nearest Lloyd dealership and book in for a complimentary tyre safety check. With your tyres being the only part of your vehicle in contact with the road surface, they play a critical role in road safety. However, each year in the UK, there are still more than 1200 road casualties’ that are caused by an accident where under-inflated tyres are a contributory factor*. 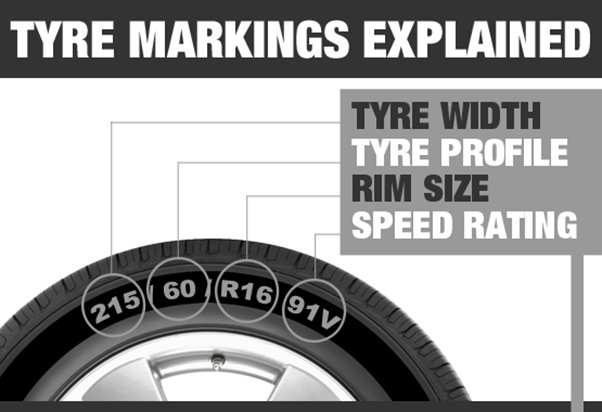 The minimum legal limit is 1.6mm across the middle 75% of your tyre at any point to use the tyre wear indicators in the base of the tyre tread groove to check the extent of the tyre tread wear. When the tread has worn to these indicators, your tyres are at 1.6mm and illegal so you need to replace them immediately. If you would like us to check your tyres for you, please contact one of our Lloyd dealerships and book in for a complimentary tyre safety check. Click here to contact your nearest dealership. Be safe this winter with our complimentary tyre safety check. Should you need replacement tyres, we offer a range of competitively-priced tyres backed up by a price-match guarantee so you can put your trust in Lloyd Motor Group. All makes and models are welcome, so you can enjoy our premium onsite facilities at the Lloyd retailer of your choice while you wait. Contact us today with your tyre size if you need to change your tyres as we price match tyres for your convenience. Our extensive range of tyres is price-matched on a like-for-like basis against other suppliers so you can rest assured that, should your tyres need replacing, you are getting a competitive price with no hidden extras. When taking longer journeys, it pays to be prepared. Regular use of lights, heaters and wipers put more demand on several “wear and tear” items on your vehicle. By carrying out a visual health check our manufacturer-trained technicians will assess those key “wear and tear” items on your vehicle, reporting those that may need to be replaced over the winter months.